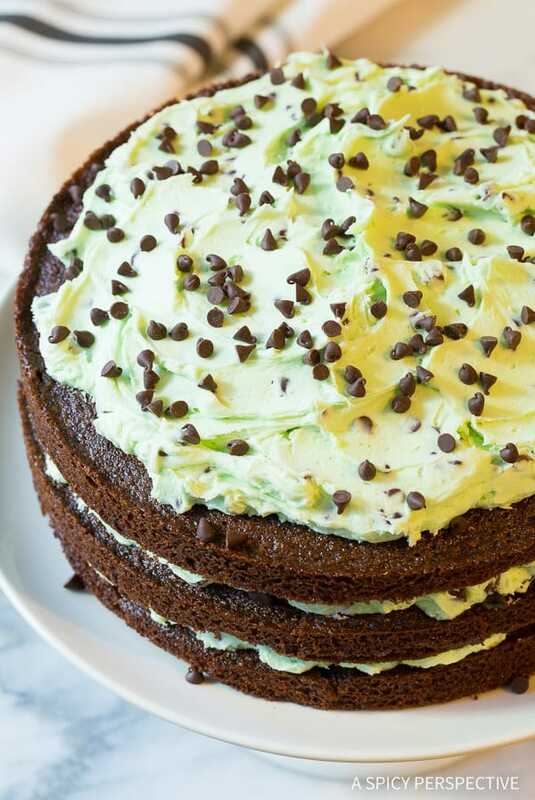 Celebrate the season with a towering decadent Brownie Cake with Mint Chip Frosting! We are in the thick of baking season. How are you holding up? So far this year, I’ve made cookies of all varieties, fudge, pies, and have moved on to holiday cakes. I have a few go-to cakes I like to make around the holidays… My Irish Cream and Coffee Bundt Cake and my Italian Affogato Cake to name a couple. However, I thought I’d try something new this season. I’ve always wondered what it would be like to make a whole cake out of brownies, instead of spongy chocolate cake. Imagine… Rich fudgy brownie layers stacked high with frosting in between. This idea alone was enough to stir up excitement. Then the thought of mint chip frosting crossed my mind and it was all over. So I took my best brownie bar recipe… (Not my fudgiest brownie recipe because I didn’t want the three layers to be overpowering, but the slightly lighter brownie recipe I use for layering.) and adjusted it to fit 3 cake pans. 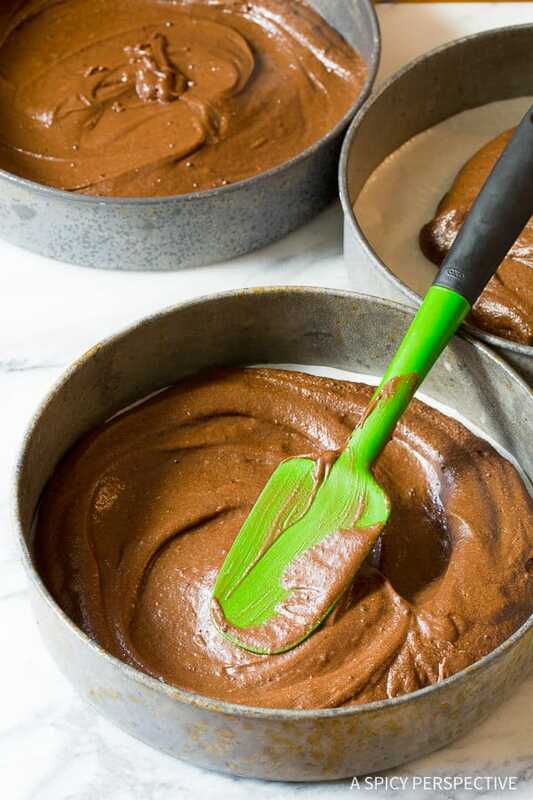 It’s important to grease the cake pans well and cut a circle of parchment paper to fit the bottom of each pan before adding the brownie batter. You want to make sure you can flip the brownie cakes out in one piece. Smooth the brownie batter out evenly in the pans. Then bake until just baked through, so the edges are crispy, but the center is moist and fudgy. 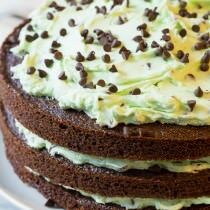 Note, I used all organic ingredients to make this Brownie Cake with Mint Chip Frosting. 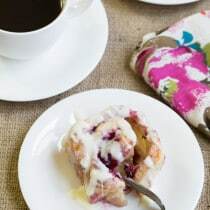 Even though it’s a sweet treat, I still want my baked goods to be clean, without overly processed ingredients and gmos. Wholesome!™ Organic Cane Sugar is the perfect ingredient to substitute for processed “white” granulated sugar this baking season. I also used Wholesome!™ Organic Powdered Sugar to make the frosting. 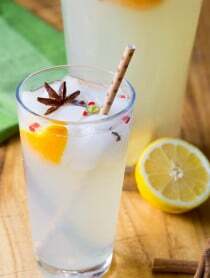 In fact,Wholesome!™ offers a non-gmo, organic and fair-trade sweetener for all your recipes. 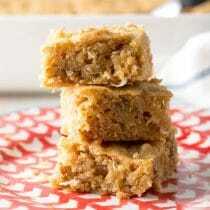 I’m crazy over their raw honey and coconut palm sugar as well! For the Mint Chip Frosting, I beat softened butter with powdered sugar until it was very smooth, then added vanilla and peppermint extract for flavor, and mini chocolate chips for the “chip” component of the frosting. Slather each brownie cake layer with frosting and stack them high! 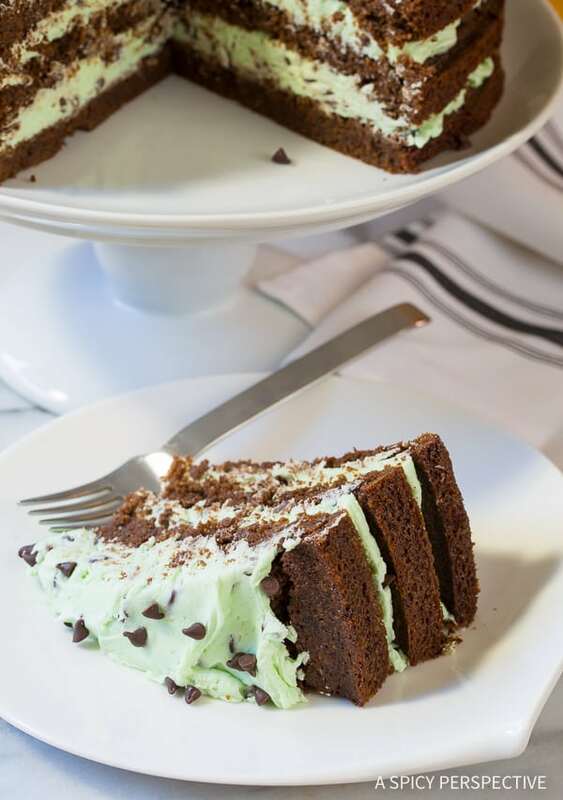 Brownie Cake with Mint Chip Frosting is a real winner this season. 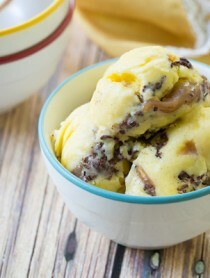 It’s rich chocolatey tones and dense fudgy texture are only elevated by the fluffy mint chip frosting. You can make this cake several days ahead. Then cut it into thin or thick wedges, and watch your friends and family melt with delight! 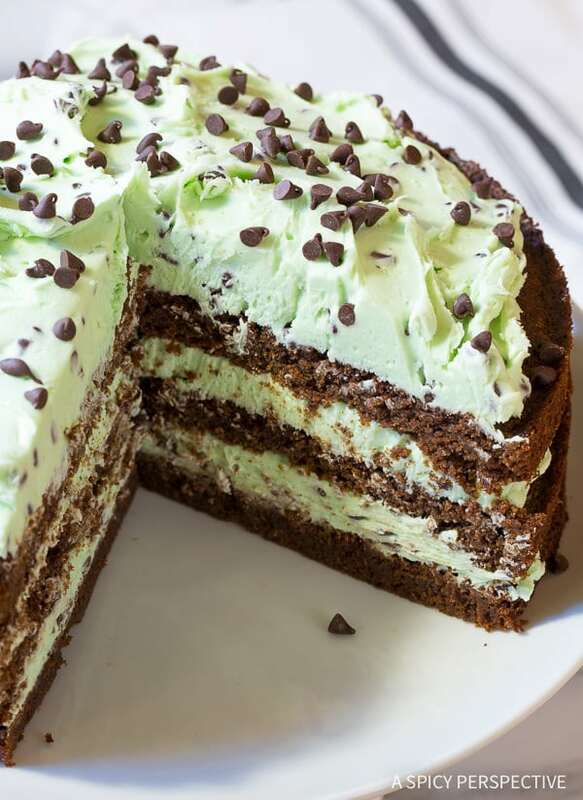 Easy to make Brownie Cake with Mint Chip Frosting! A decadent holiday dessert you will love. 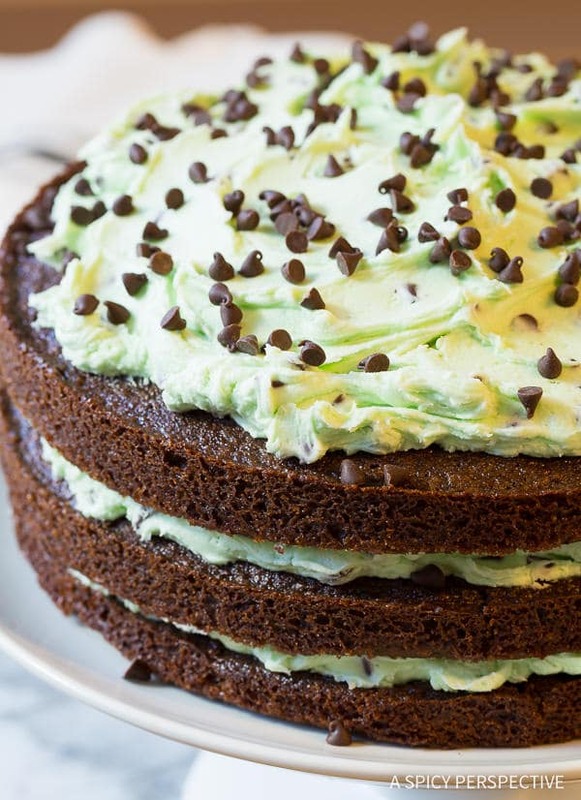 Three chewy brown layers topped with chocolate mint frosting. 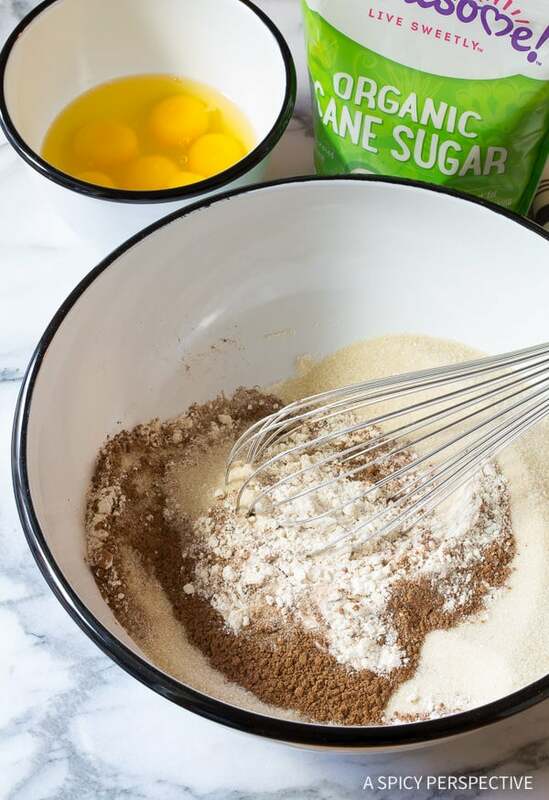 In a large mixing bowl, whisk together the melted butter and Wholesome!™ Organic Cane Sugar. 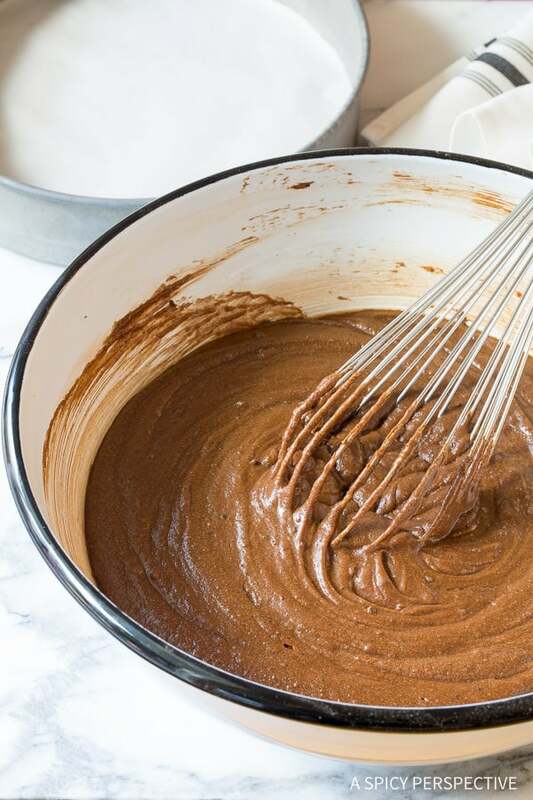 Add the cocoa powder, flour, and instant coffee granules, and whisk again until smooth. Then mix in the eggs, vanilla, and salt. Scrape the bowl and whisk again so there are no clumps. Scoop the batter evenly into the 3 prepared pans and spread it out from edge to edge. Bake for approximately 20 minutes, until a toothpick inserted into the center comes out clean. Cool the brown cakes completely, then dump out of the pans. For the Mint Chip Frosting: Place 1 pound softened butter in the bowl of an electric mixer. 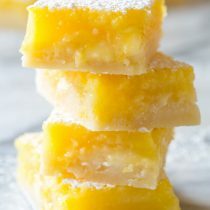 Beat the butter until it’s light and fluffy. Then turn the mixer on low and slowly beat in the Wholesome!™ Organic Powdered Sugar. 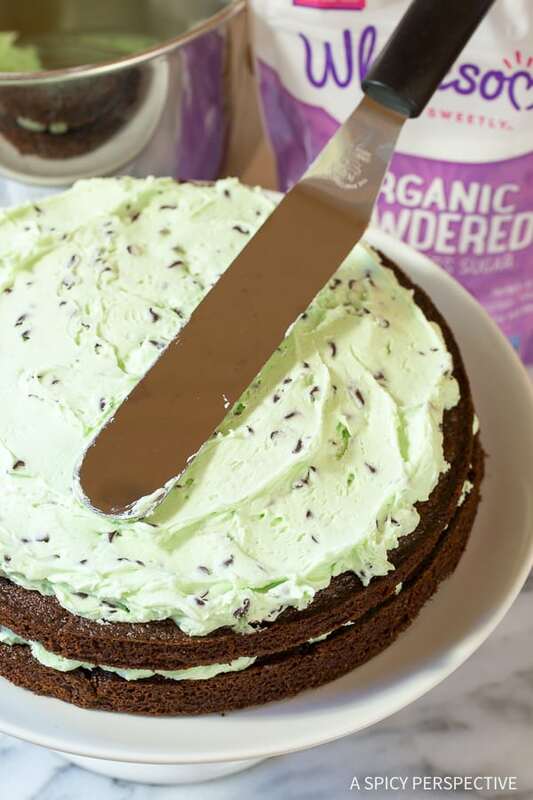 Scrape the bowl with a spatula, then beat again while adding the salt, vanilla and peppermint extracts, half & half, and green food coloring if desired. Once the frosting is smooth, mix in the mini chocolate chips. To assemble, place a brownie cake layer on a cake plate and remove the parchment paper. Scoop one-third of the frosting onto the layer and spread in a circle close to the edges. Stack the second brownie cake layer on the frosting and repeat with one-third of the frosting. Finally place the third layer on top and scoop the remaining frosting over it. Spread the frosting over it and garnish with extra chocolate chips if desired. 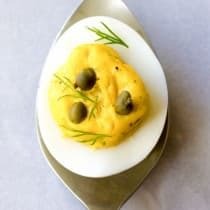 Cover and leave at room temperature until ready to serve. Eat within 5 days. 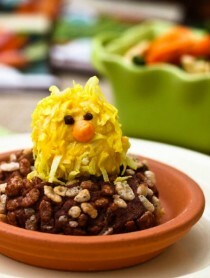 NOTES: 1) Use all organic ingredients if possible. 2) The instant coffee granules are optional, but greatly enhance the flavor of the brownies. Disclosure: This post is sponsored by Wholesome!™. All sweet-loving opinions are my own. I mean, anything mint chocolate chip is the BEST in my book! Mint chocolate chip is my favorite. This needs to GET IN MY BELLY! 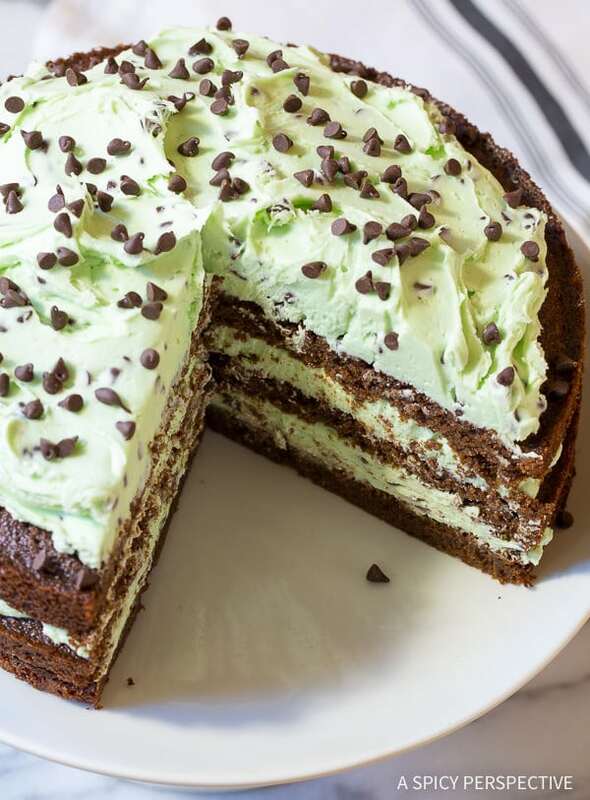 Mint and chocolate for the win! sounds and looks delicious! Happy holidays to you! This would be a huge hit for the Holidays! You’ve combined two of my favorite things!! Love brownie and mint together. PINNED! I was lucky enough to get to sample this cake and let me tell you it was OMG delicious! Such a twist on a plain old chocolate cake. Special enough for holiday parties for sure, but it has already been requested as a birthday cake for a certain sweet tooth in my house!